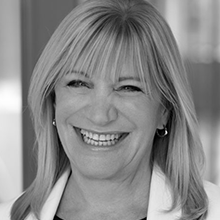 Karen has spent her career working with global brands in luxury, retail, fashion and innovation. Karen launched her consulting firm in New York and London in 2001, in order to apply her methodology of working with clients to build their brands in a highly customized way. Her ability to work in traditional and non-traditional ways earned her firm international recognition for her unique approach to executive search and for bringing some of the industry’s most successful CEOs. The firm is widely recognized for its Advisory Services, Storytelling Workshop and Brand Incubation practices. Some of the company’s clients have included: Burberry, Coach, lululemon, Nike, FarFetch, Ralph Lauren, Tiffany, Amazon and The Row. The firm’s Advisory Services engage with entrepreneurial ventures, investors, and large companies, helping them think about investment and acquisition, talent needs and company structure. Storytelling Workshop was initially developed in 2003 to assist Nike’s global creative leaders in presentation and storytelling, and now provides training for a select group of clients and members of the Council of Fashion Designers of America. In 2014 Karen founded Fashion Tech Forum, and the firm is in the midst of launching INDX, a digital talent marketplace between brands and creative talent.